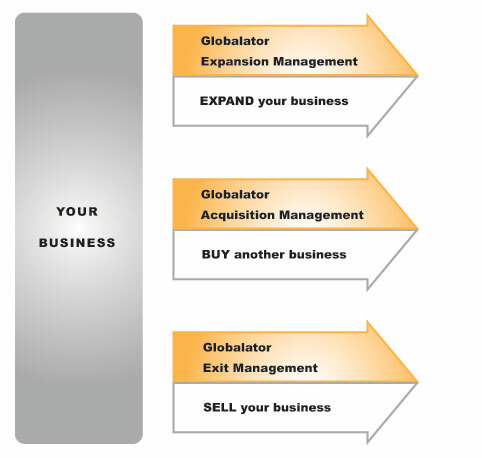 Globalator is an innovative specialist for successful international expansion, including merger & acquisition (M&A) activities. Through hands-on management services, we enable our clients to realize superior value from expanding their business organically, acquiring other entities, or selling their own business. International growth initiatives often fail to result in value creation. Our approach to make expansions, acquisitions and business sales processes work is built around the fact that our team members are experienced managers that can serve in consulting, coaching, and interim management roles as needed. We work with companies that want to expand organically and have no intention to ever sell the business, as well as with companies that are planning a sale. Our core expertise is to make international growth initiatives succeed. Globalator specializes in working with privately owned small to medium sized businesses, although we have worked with public companies to acquire privately owned companies. We look forward to hearing from you about your potential international growth plans. You will find that our approach can also add value to you. Globalator offices are located in the USA (San Diego, California), UK (London) and in Austria (Vienna).